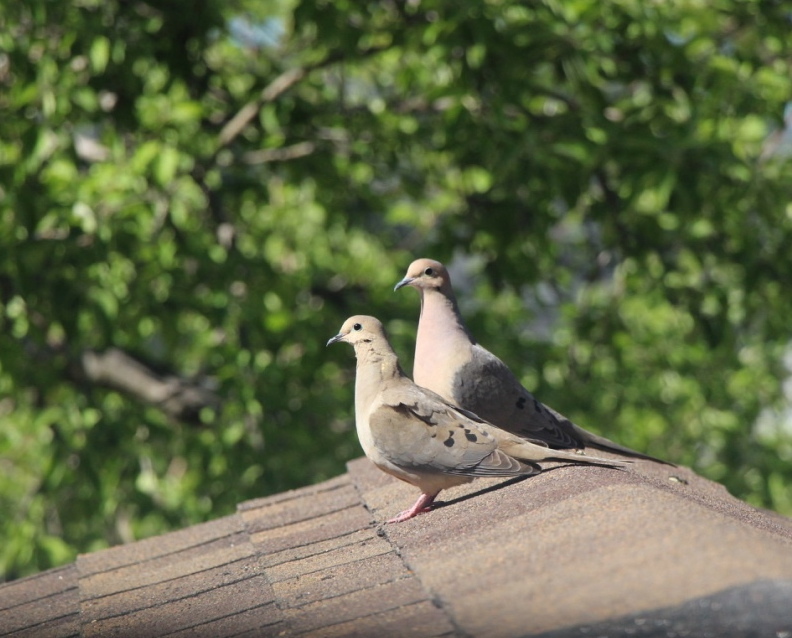 A mated pair of mourning doves rests on a roof in the late afternoon sun. The mourning dove’s (Zenaida macroura) call is a wild, haunting sound that complements the whistle of its wings. In mid-August, doves coo softly in the cool of early morning and in the sultry late-afternoon heat. People react quite differently to the mourning dove’s call. A work colleague who grew up on a farm found the cooing to be so sad that her family removed any nests that were close to their farmhouse. 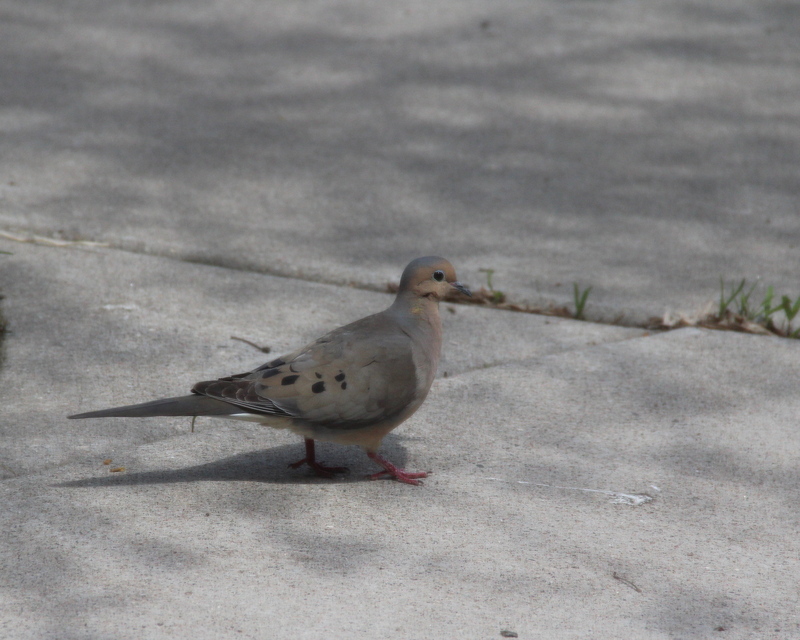 Mourning doves are warm buff to soft gray in color with black speckles on their wings. I love the mourning dove’s call; I find it soothing and relaxing. It brings memories of steamy summer afternoons when I was growing up. We’d imitate their calls and try to spot them in the majestic elms that shaded Saint Paul’s streets. To find a dove’s nest woven in the boughs of a small spruce tree was pure delight. How innocent they looked with their large, dark eyes and bespeckled wings, nestled on a clutch of bright white eggs. How excited we were to experience this tiny bit of nature so close to home.